Show off your Kennebunkport pride in an understated way with this simple necklace! 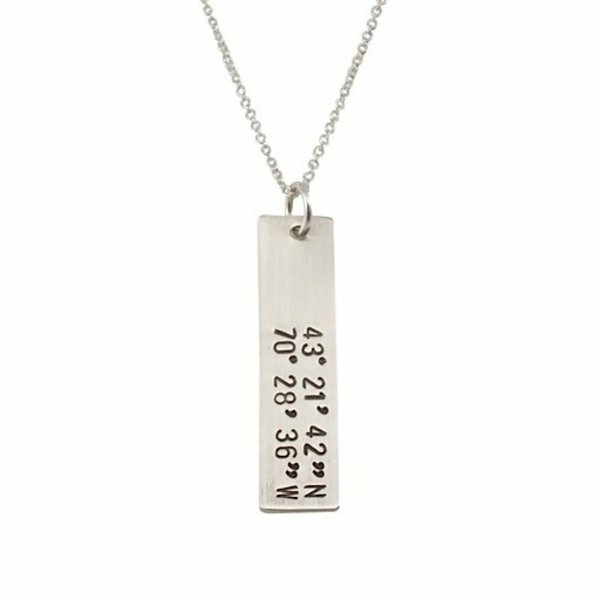 The latitude and longitude coordinates are hand stamped onto the silver tag charm. A great way to commemorate a love for one of the best towns in vacationland! Made in Kennebunk, Maine by Becoming Jewelry.